More Holmes crossover adventures from Moonstone Books. 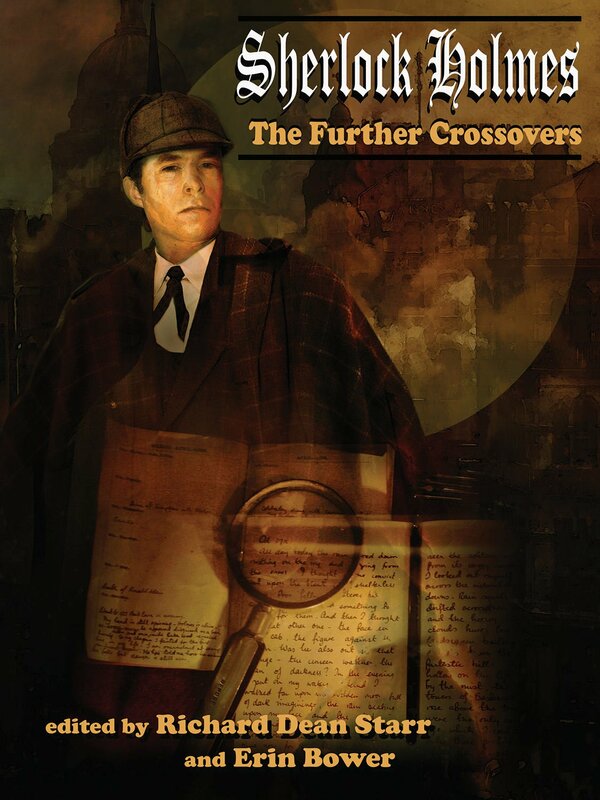 Also see: Sherlock Holmes: The Crossovers Casebook (2012). Moonstone is proud to present this original anthology featuring never before seen tales of the world’s first consulting detective, Sherlock Holmes, as he teams up with other adventurers and investigators! Authors: Pat Barletta, David Stuart Davies, Nancy Holder, Bradley H. Sinor, Julie Barret, David Gerrold, Jean Rabe, Greg Gick, Matthew V. Clemens, Martin Gately, and Bill Crider. Gertrude Bell, renowned adventurer, archeologist, and spy. Wilkie Collin’s Sergeant Cuff! (The Moonstone). Baroness Orczy’s Lady Molly of Scotland Yard! (The Scarlet Pimpernel). Catherine Louisa Pirkis’ Loveday Brooke, Lady Detective. Actors Malcolm Scott and Matilda Alice Powles. Arthur B. Reeve’s Craig Kennedy, science detective. Alexandre Lacassagne, French physician and criminologist. Edmund Locard, pioneer of forensic science. Joseph Rouletabille, French spy and investigative journalist (The Phantom of the Opera). Purchase: Amazon (U.S.) | Amazon (UK).